A professional dancer until age 18 with his brother, Uday, Ravi Shankar turned to the sitar in 1938. 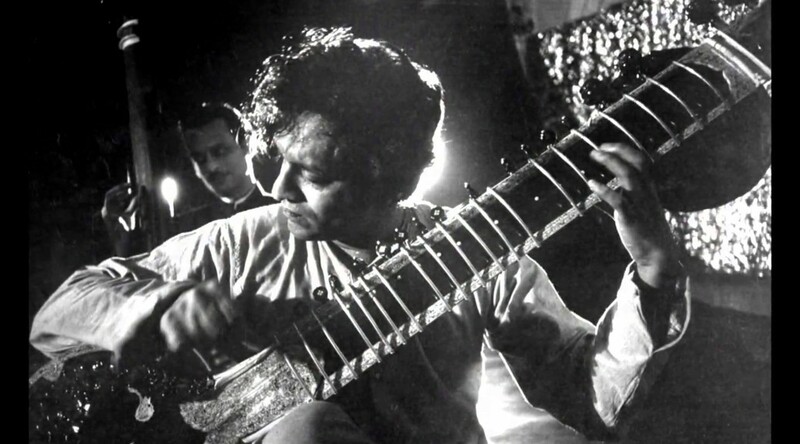 In 1956, the New York Times referred to Shankar as “one of India’s most famous performers on the sitar.” Two years later, it said, “The classical music of India, one of the world’s great cultural treasures, has so far been little known outside the frontiers of that country.” In 1961, he was still, “an artist of a cultural tradition alien to our own.” That would all change. 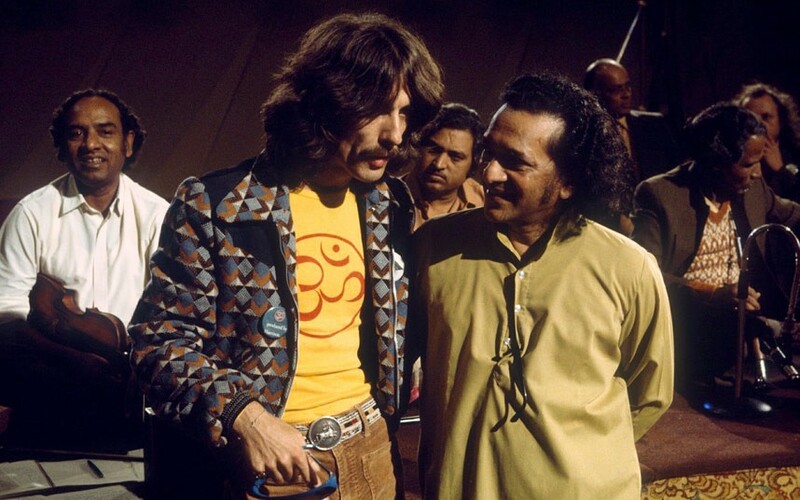 Shankar was already 46 years old and playing the sitar for 28 years when in September, 1966 23-year-old Beatle George Harrison went to India to study sitar with him. The Byrds had introduced Harrison to the sitar because they and Shankar recorded at the same American studios. Harrison included the instrument when recording the Lennon-McCartney composition Norwegian Wood (This Bird Has Flown) for the 1965 Rubber Soul album. Shankar did not need Woodstock to permanently sculpt his name into stone for young music fans. George Harrison and the other Beatles had already done that. Harrison and Shankar’s continued friendship kept that fame dust-free. If Michael Lang couldn’t get the Beatles to play at Woodstock, having their good friend play was a wonderful alternative and let “true” fans know that the festival was going to be extraordinary. In a modern media sense, Harrison and Shankar invented “world music.” Suddenly, listeners were no longer limited to local music. Access to all kinds of music became not just easier but part of music in general.